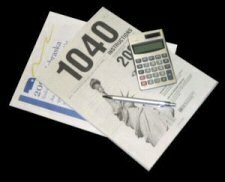 Income Tax Assistance is available at Lincoln City Libraries during tax season. Lincoln City Libraries provides the space for this service. Trained volunteers are sent by VITA and AARP. Library staff are not authorized to provide assistance or advice regarding Income Tax preparation. Watch for schedule information to be posted in January or early February. Income Tax Assistance is again available at Lincoln City Libraries this year on the dates listed here. Assistance is not available when libraries are closed for holidays. Lincoln City Libraries provides the space for this service. Trained volunteers are sent by VITA and AARP. Library staff are not authorized to provide assistance or advice regarding Income Tax preparation. For sessions not listed as walk-ins only, all library time slots are now full. In the event of Lincoln Public Schools or the University of Nebraska-Lincoln closing due to bad weather, sites not listed as walk-ins only will be canceled. Here is information about additional locations for assistance and what to bring with you. Federal tax forms and instructions are available from the Internal Revenue Service website. In order to encourage electronic filing, the Nebraska Department of Revenue is not providing tax forms to the public library. You may print forms and instructions from the Nebraska Department of Revenue’s website.